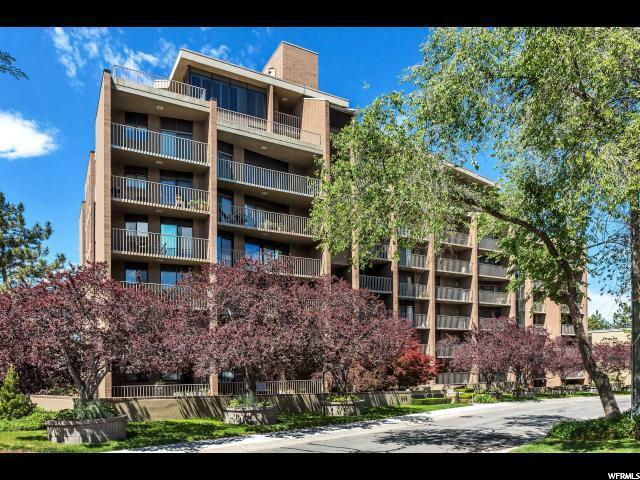 All TREVI TOWERS homes currently listed for sale in Salt Lake City as of 04/18/2019 are shown below. You can change the search criteria at any time by pressing the 'Change Search' button below. "Fabulous condo located in the highly sought after Trevi Towers situated perfectly on popular Capitol Hill. Large glass sliders off entertainer's living room and bedrooms provide loads of natural light. Spacious bedrooms provide additional closet space and have separate covered balconies. This impeccably maintained building includes onsite management, secure building entry, covered heated parking garage including heated driveway, plus a coveted private parking space with large separate storage space. Enjoy the super convenient Trevi Towers dedicated guest parking lot with easy access just across the street from the building. Additional amenities include: beautifully maintained heated indoor swimming pool and spa, dry sauna, community room and beautifully updated and impressive lobby area, game room and exercise room. The building has a very cool Mid Century Modern feel with low maintenance stack-style brick exterior, sculpted landscaped grounds and inviting entryway fountain. Unbeatable location with an easy two-block walking distance to downtown shopping and dining including City Creek Center, Memory Grove Park, LDS Conference Center, Harmons, Temple Square and the Capitol. Call now for your showing!"